Whether they’re concerns about employment or health care, just about everyone has money worries. As a matter of fact, 43 percent of U.S. adults — some 100 million people — said not having sufficient “rainy day” funds or emergency savings worries them most. Additionally, 38 percent of Americans are worried about having enough money for retirement, according to the National Foundation for Credit Counseling and the Network Branded Prepaid Card Association’s 2013 Financial Literacy Survey. On one hand, worrying means we acknowledge problems or potential issues with our personal finances, which can motivate us to get on the right path. But on the other hand, excessive worrying might affect our reasoning and give birth to strange money obsessions. Here are our picks for the five weirdest ones that are more common than you’d think. A frugal mindset is one way to save your pennies, but there’s a difference between saving and hoarding cash. The word “hoarding” brings to mind a bountiful collection of items that serve no real use. And when you think of a hoarder’s house, you might envision floor-to-ceiling clutter. But hoarding isn’t just about the accumulation of stuff. It’s a mental disorder characterized by the inability to part with personal belongings — and sometimes, these personal belongings include our resources. A sudden, dynamic shift in income can be traumatizing. Unexpected unemployment can have a domino effect resulting in the loss of a home or car. And depending on how bad a situation becomes, a financial low can trigger an unnatural obsession with holding onto money — to the point where sufferers refuse to buy things they really need. They vow never to return to a place of destitution, and then focus all their time and energy on saving and protecting their future — perhaps at a cost to the present. “I think that I was a little more addicted than I should have been. I definitely did spend a lot of time doing it, and I would say it was a priority to do it,” she told ABC News. 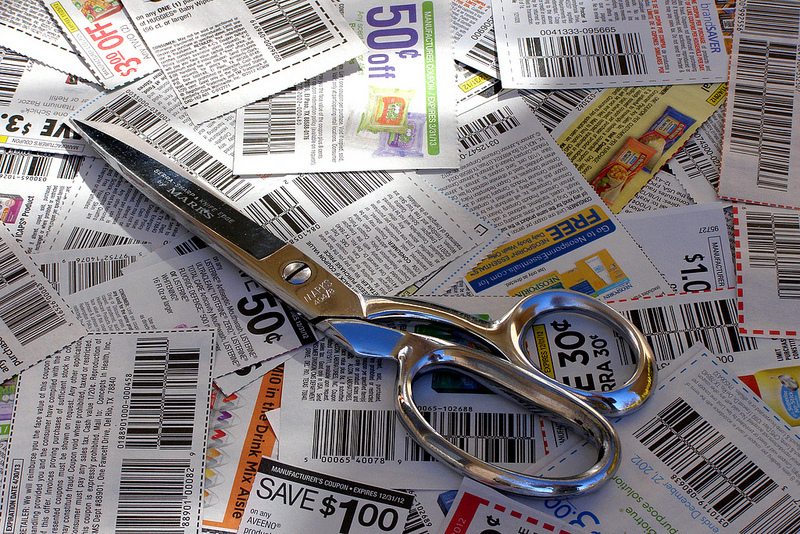 Couponing saves money, but extreme couponing may open the door to other problems. With the latter, there’s the risk of buying things you wouldn’t otherwise purchase; and since becoming a pro involves a serious time commitment, a couponing habit can consume time that’s better spent on other pursuits. Maybe you’ve had a lot of success or good fortune in your life. You worked hard in college, received a lucrative job offer, and now you’re enjoying the so-called good life — financially speaking. You should be happy — but if your friends and family haven’t enjoyed similar success, personal guilt and shame might overshadow accomplishments. In an effort to soothe a guilty conscious, you might resort to dipping into your pocket and constantly giving to your loved ones. This includes anything from regular financial support to extravagant (and unnecessary) gifts. And yes, a giving attitude is far better than being greedy or stingy with your money. But if you don’t get a handle on these emotions, irrational guilt might fuel an unhealthy obsession with giving and you could become a financial enabler. A narcissistic personality is someone with an exaggerated sense of self-importance and entitlement; and because these individuals crave admiration, a preoccupation with improving their image often causes them to seek power or money. According To Sam Vaknin, author and expert on narcissist personality disorder, “money is another word for love in the narcissist’s emotional vocabulary.” If the narcissist was deprived of love in early childhood, he may seek money as a substitute for love. But the obsession with money doesn’t stop here. The narcissist might feel that “he’s entitled to other people’s money,” and “grandiose thinking leads him to believe that he should have, or does have, more money than he actually possesses,” which can trigger reckless spending and gambling addictions. If you want a roof over your head and food on the table, you’ve got to work for it. Your friends might jokingly call you a workaholic if you’re passionate about your job; however, there’s a difference between loving your work and being obsessed with your job. People who enjoy their work can usually strike a healthy work-life balance, and their happiness isn’t tied to a job. On the other hand, workaholics’ obsession with work stems from the belief “that more money is going to make them and their family happier,” according to Psychology Today. This rarely happens. Instead of finding happiness, some workaholics get stuck in a cycle of working and working, and they never fully enjoy contentment or satisfaction.